Home » 25 Days of Giving: Loom and Leaf Mattress Giveaway! 25 Days of Giving: Loom and Leaf Mattress Giveaway! It’s Day 12 of the most wonderful time of the year, and by that I mean 25 Days of Giving! We’re kicking off your chance win a brand new Loom & Leaf mattress, check below for all of the ways to enter. 25 Days of Giving: Loom & Leaf Mattress Giveaway! The Loom & Leaf is a memory foam mattress that provides a classic contouring feel as you sink in for pressure relief. The comfort layer of the Loom & Leaf uses a gel infusion to defend against heat trap that can happen in memory foam sometimes. It’s a great mattress that I really like for side sleepers, you can learn more about it in my full Loom & Leaf review. 25 Days of Giving: Tempur-Pedic Giveaway! 25 Days of Giving: Nolah Giveaway! I think either the Zenhaven or Purple would be best for me although this Loom and Leaf is very appealing. Ilove the look of this one!!!! Loom and Leaf is definitely a winner in my book! My favorites are Layla, and the Zenhaven for various reasons. Zenhaven goes well with my name so I chose it. It is quite the toss up for which latex mattress I like best that you have reviewed. I would have to pick the Zenhaven Mattress. I fell in love with sleepopolis reviews in Dec 2017. I’ve been slowly saving up for a new mattress (current mattress is 18yrs old). I would love to win any of the mattresses; This one is at the top of my list. Omg we need this amazing mattress so bad! Ours is awful and we wake up so tired and sore. Thank you for this gratious opportunity. Thanks for the oppurtunity & good luck to all! I have two favorites – the Zenhaven and GhostBed Luxe! The Zenhaven would be my favorite, as I am a side sleeper, but a few of the others look nice, as well. Another nice on, Casper is still my favorite, but all of the seem to be great. I still think Zenhaven is the best latex mattress for me. I would love anyone of them. They are all great mattresses. My favorite would be the Purple mattress. My favorites are Layla,Casper Wave,Tomorrow Sleep,Purple, Nest Alexander Hybrid and Helix. Hmmm…..It’s the afternoon slump, so the mattress in front of me looks like the best one! 😄 I think I stil.lean towards Zenhaven, but this top looks so cozy and plush. I love the idea of a gel layer for cooler sleeping! We all need a GOOD NIGHT SLEEP. Thanks for the chance. Purple mattress but Loom and Leaf mattress sounds like a dream! Another great review and giveaway! Will I win?! YES! Love the Loom and Leaf, Zenhaven and the Nest Hybrid. :-) Sorry, I can’t choose just one of them. Thank you. Thanks for the chance! Not sure which I would choose, so many great choices. Thank you for the chance. Good luck everyone! I love this one! I love them all. Any one of them would be absolutely amazing to own. I can’t pick just one because they are all fantastic! My favorite latex mattress you’ve reviewed is the Idle mattress. I’d love this, we’re moving soon and need to buy a new mattress, our current one is 26 years old! My current mattress is not very old but it kills my body. I wake up sore and stiff and so does my husband. We know it is the mattress but after spending so much on this one, it is just not in the budget to purchase another one right now. I am a side sleeper and I really think this mattress would be the answer to my morning time stiffness that never occurred prior to my new, but awful, foam mattress. Looks comfy. And the reviews are good. I love the sounds of the Zenhaven. I get hot flashes at night so the cooling effects sound amazing. I also love that it has the “pressure free support” to gently support key body areas without being uncomfortably firm. Not done reviewing them all. I appreciate your thorough reviews. I really like the Purple Mattress! They all sound like wonderful mattresses but we have a latex allergy in our household so the Ghost Bed wouldn’t do. A wonderful mattress for side sleepers. I like this one by Leaf & Loom. 12″ tall and 4 layers. Comfort!! Now I think my favorite is Loom & leaf but purple also is great. They all look so very comfortable! I also like several others. Fantastic giveaway thanks for the chance How can you decide which bed is better????? I’d take any if I win not picky can’t afford so winning one of these pretties would do me a great deal…. fingers cross!!!!! Good luck everyone and merry christmas !! Thanks so much sleepopolis for another great giveawayand merry christmas ya all !! This one sounds fabulous! Thanks again for the opportunity to own this lively mattress. They all sound amazing! I wake up in pain everyday because our mattress is so horrible. Thank you so much for all of the chances to win! The Ghostbed has a latex layer and sounds like it would be nice for me. I love this one, a lot! 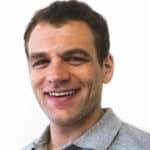 Ghost bed, tempur pedic and helix bed reviews are my favorites. I like this one as well. I think right now its the casper wave because of the gel and ability to keep cool. Otherwise def. Loom and Leaf. This Loom & Leaf mattress sound wonderful! I love that it works for side sleepers and that it helps keep you cool! I’m always hot when I sleep so this would be a great benefit to me! Love learning the differences in all of your mattresses. They are all awesome. This would be an amazing win for me. My arthritis and lupus cause me so much trouble sleeping. I’d give anything not to hurt so much at night. Thanks for the opportunity, I really need a new guest room mattress! This Loom & Leaf Mattress looks very nice! Thank you for this giveaway! Loom and Leaf is my favorite! My favorite is the Caspar mattress!! Would love to win a luxurious new mattress! Thanks for the chance! Fave latex you’ve reviewed is ZenHaven or Spindle. Loom and Leaf would be my 1st choice for sure!! for SURE yes, loom & leaf is my favorite by far!! What size mattress is this giveaway? Tuft and Needle is my favorite. But I would love to win any mattress! Loom & Leaf is an awesome mattress! This would be great for a side sleeper like myself!! I still like the Purple mattress best. I did like the reviews on the purple and the bear and now I really like the reviews of this Loom and leaf! I need a mattress with pressure relief on my hips. My favorite is the purple mattress. The Saatva or the Loom and Leaf by Saatva, would be good choices for me. Loom and Leaf mattress sounds good to me! another top quality giveaway! Thanks for making this fun 25 days of giving! Love the chance to win this great mattress! Every Day you give us the opportunity to win such a wonderful mattress. Thanks for all you do. I like the Zenhaven latex mattress. I was sold on the Zenhaven, but now the Loom&Leaf seems just as promising. So, I would love either. I could really use a new mattress mine has fallen apart. My mother recently purchased a Loom & Leaf mattress. She absolutely loves it and claims she sleeps the best she has ever slept…and she’s 71. Although the Loom & Leaf mattress tests a bit firmer than I’d usually like as a side sleeper, it would be nice to be able to try and sleep comfortably in other positions. My favorite mattress so far is the Leesa Mattress! Thanks for the opportunity!! I still have my fingers crossed that the gods will smile down upon me and I will win so that I don’t have to sleep on a dog bed anymore! Not sure they all have pros and cons to me. I will have to think about it more. Would love to win this in a twin size. Thank you for offering these giveaways! I think the Zenhaven mattress is my favorite mattress. I’m a side sleeper and I think it’s the best mattress for me. While I like a bit of give, I tend to lean towards firm so, the Loom & Leaf being of medium firmness is my favorite part of this mattress! My favorite latex mattress is the Avocado Green. I’m a side sleeper so this is a great choice for me! One thing about beds,,its hard to know if they are good unless you try them out. You give alot of good information and this one seems so soft and comfortable you almost dont need to try it out before you buy! Im intrigued about these new bed and how they are made, Perhaps I will be lucky and win and find out! 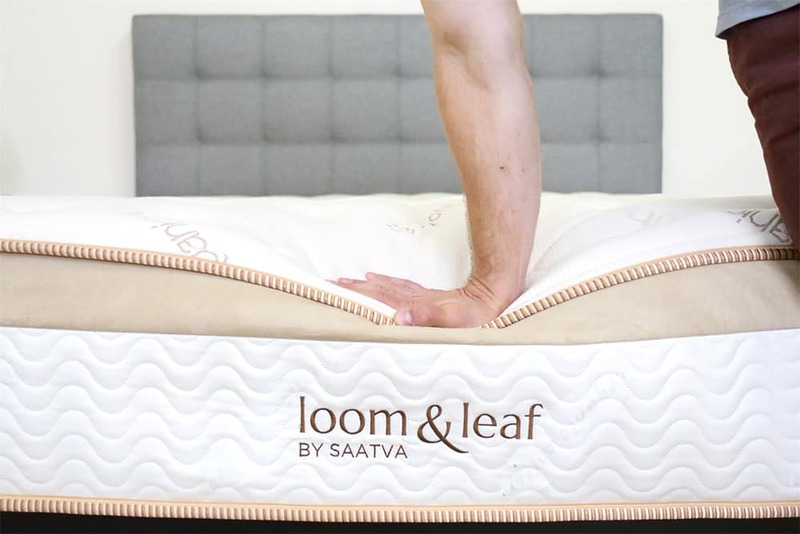 The Loom & Leaf is a memory foam mattress that provides a classic contouring feel as you sink in for pressure relief. This would be a great mattress if you had a sore back. The Zenhaven mattress sounds quite excellent. wow what an awesome christmas present a new mattress would be! Would be so nice to get a good night’s sleep.